Woods View Apartments features bright and clean studios, 1 and 2 bedrooms located centrally to all major businesses and recreational activities in Milwaukee. Woodsview Apartments offers an array of conveniences to our residents. Amenities include air conditioning and ceiling fan, garbage disposal, window coverings, and available extra storage. Relax in our tropical themed pool area, or bask in the warmth of a summer day on our sundeck. Residents will also enjoy complimentary parking in our two outdoor lots or may opt for an indoor garage stall. Put a load of laundry in and hit the Fitness Center while you wait. You may never want to leave home. We are conveniently located near Subway, Starbucks, Pick N Save, Walgreens and are within walking distance to Miller Park. 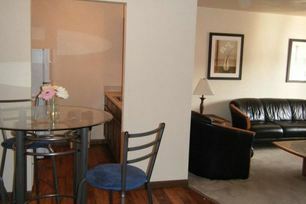 We are also only 10 minutes to downtown Milwaukee and 15 minutes to General Mitchell International Airport. 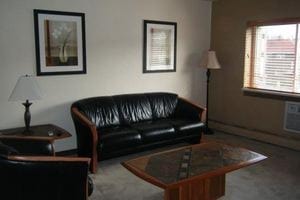 Furnished Corporate 1 Bedrooms Now Available - Please Call For Details!